Cardiff is a great university in a vibrant student city. It’s also not only a capital city, but close to the countryside if you’re into outdoor extreme sports. Being an Economics student at Cardiff University gave me both the confidence and mind set for entrepreneurialism. Enterprise & Start-Up is a joint initiative between Cardiff University and Cardiff University Students’ Union to help students realise their full potential in business and entrepreneurship and they helped me massively in the first steps to becoming an entrepreneur. After University I started my own tech company called Alpacr. 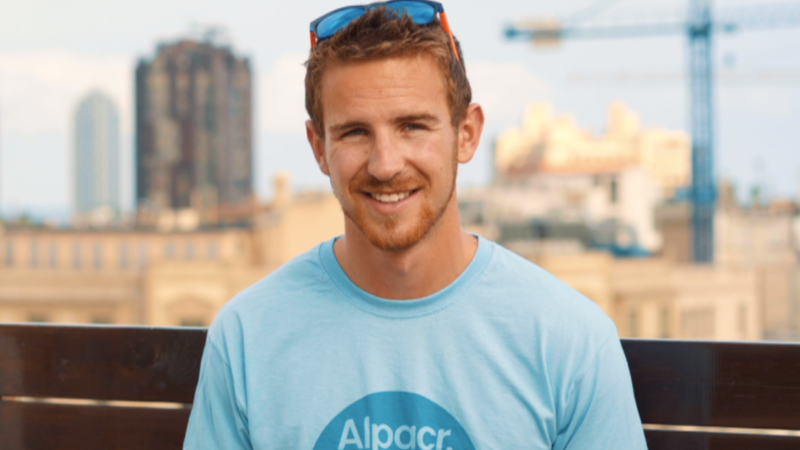 Alpacr is a social platform that connects the world through travel and adventure. The platform launched in 2018 across 12 European cities, raised over $0.5m in investment, and has an incredible team of 12. Notably Alpacr’s Non-Executive Director is Tyler Droll, former Forbes 30 under 30, CEO of YikYak, an app worth $400m, and raised $74m in investment. A highlight for me since leaving University was when Alpacr won the Virgin Voom pitch competition which was hosted by Sir Richard Branson. The competition sees businesses from across the UK pitch their ideas to win a share of £1m in prizes. Giving advice to current students who want to run their own business, I’d say three things: Vision, Determination, and Adaptability. Set your vision far, you can achieve a lot with hard work and dedication. Never give up, and have the ability to adapt and innovate to succeed.